This Book of Memories memorial website is designed to be a permanent tribute paying tribute to the life and memory of Donna Estabrook . It allows family and friends a place to re-visit, interact with each other, share and enhance this tribute for future generations. We are both pleased and proud to provide the Book of Memories to the families of our community. HOULTON and AMITY- Donna M. Estabrook died February 3, 2019 in Houlton. She was born March 14, 1929 in Littleton, the daughter of Charles and Clara (Flemming) Thompson. Mom enjoyed quilting and spending time with her family. Mom also appreciated friends that became family at the Century House. She worked at Mill Pond School (SAD 70), was Amity Town Clerk and assisted her husband on the family farm. Donna is survived by: Barry Estabrook and Sandra Hare of Linneus, Daniel Estabrook of Minnesota, Steven and Deanna Estabrook of Houlton, and Dorothy Estabrook of Houlton; grandchildren: Barbara and Shane Sherman, William Estabrook, Michelle and Eric Warren, Kevin and Amy Cummings, Brent and Sarah Estabrook, and Edward and Jessa Estabrook; great-grandchildren: Maddi, Ben, Morgan, Garrett, Owen, Charlotte and Hudson; her sister, Lois Stuckwisch of Indiana; sister-in-law, Carolyn Thompson of Washington. 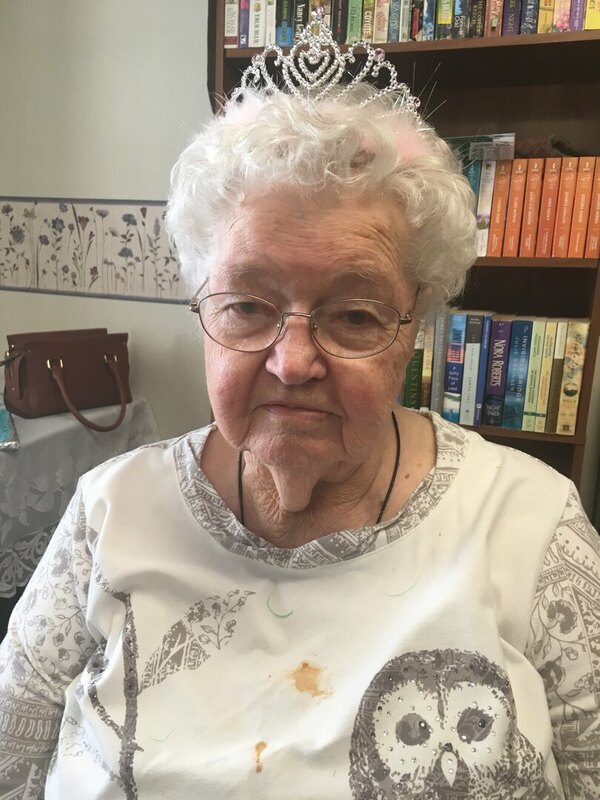 She is predeceased by her husband of 63 years, Kenneth; a brother, Paul Thompson; a sister, Carol Rosborg and her husband Dan; and brother-in-law James Stuckwisch. Services will be held 3:00 pm, Saturday, February 9th at Bowers Funeral Home, 10 Water Street, Houlton, officiated by Don Bixby and Caleb Bray. Interment will be at Amity Cemetery in the spring. In lieu of flowers, donations may be made to Shriners Hospital or The Veteran’s Administration c/o Bowers Funeral Home. To share memories or leave condolences, please visit www.bowersfuneral.com.